the winter wedding season has now begun. Today’s happy couple are Stephanie and Chris, they wanted a Rolls Royce Wedding Car in Bury. 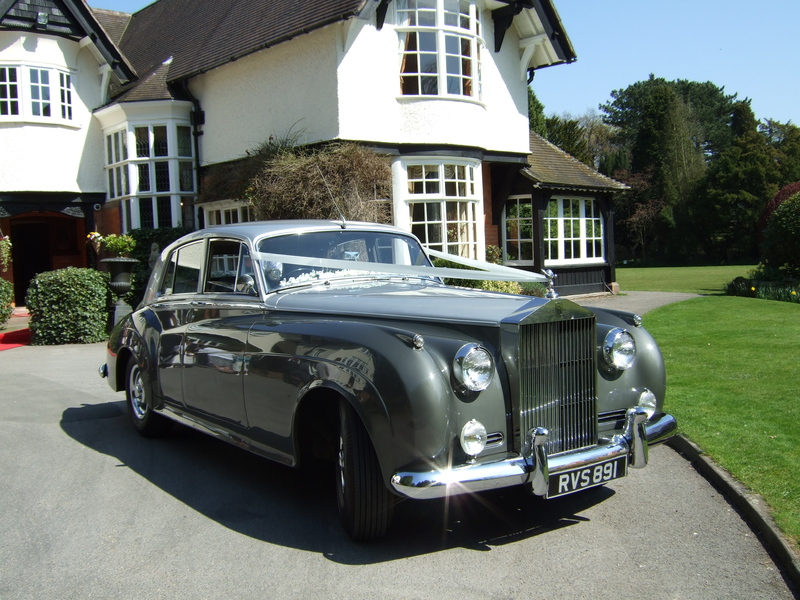 It was our pleasure to provide our 1956 Rolls Royce Silver Cloud Wedding Car for this very special day. Although summer is behind us now, the weather was dry and warm so our giant umbrella wasn’t needed today, in fact the sun actually came out as Stephanie arrived at Bury town hall. 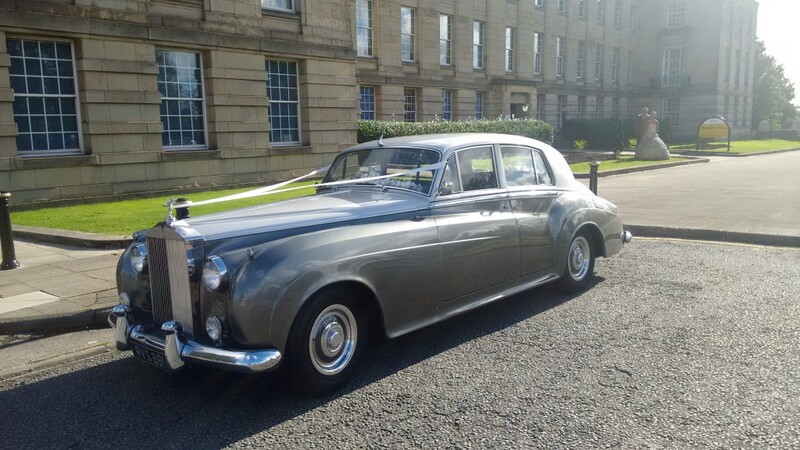 Our pickup was from an address in Radcliffe near Bury so as normal our Rolls Royce Silver Cloud Wedding Car arrived in good time. When we arrived at Bury registry office which is inside Bury town hall the sun came out and Stephanie had a few photographs with the Rolls Royce Silver Cloud wedding car before going inside. When the ceremony was over and photographs done we then transferred the newlyweds from Bury town hall over to their reception venue in Radcliffe. This was a great wedding and we wish Stephanie and Chris a very happy future together from all of us at Elegance Wedding Car Hire of Wigan. Wedding car of choice. 1956 Rolls Royce Silver Cloud. Wedding venue. Bury town hall. Reception venue. At Saviours church hall near bury. For more information about our wedding car service please go to our home page or go to our contact us page.